ZIMBABWE – Zanu-PF youths from all the provinces have resolved that President Mugabe is the only centre of power and as such he remains the party’s Presidential candidate for the 2018 harmonised elections. The youths, represented by Youth League secretary Cde Pupurai Togarepi, commended the First Lady Dr Grace Mugabe for the work she has done to ensure that the league remains vibrant. “We strongly re-affirm that his Excellency, The President and First Secretary of the Party, Zanu PF is the only centre of power as mandated by the 2014 National People’s Conference, as such he remains the Party’s Presidential candidate for 2018 harmonised lections,” read part of the resolutions. The resolutions come as The Zimbabwe Liberation War Collaborators Association met and resolved that President Mugabe should also be the party’s candidate for the 2018 polls. Cde Togarepi said they had also resolved that youths must not be used as drivers of factionalism and that they should remain united and shun those intending to use factionalism to divide them. He said the senior party leadership should be compelled to resolve differences amicably and refrain from using social media in resolving issues. The party’s youth wing has recently been marred by divisions and violence that witnessed counter votes-of-no confidence being passed against provincial youths’ leadership. Mashonaland West Youth League turned into a theatre of confusion, where the ousted chairperson Cde Vengai Musengi and his deputy Cde Joseph Nyariri passed a counter vote-of-no confidence on the new provincial executive led by Cde Tawanda Rupiya. The Youth League also recommended that Government allocates funds to the National Youth Service and called for stern measures to curb corruption within the party and Government. 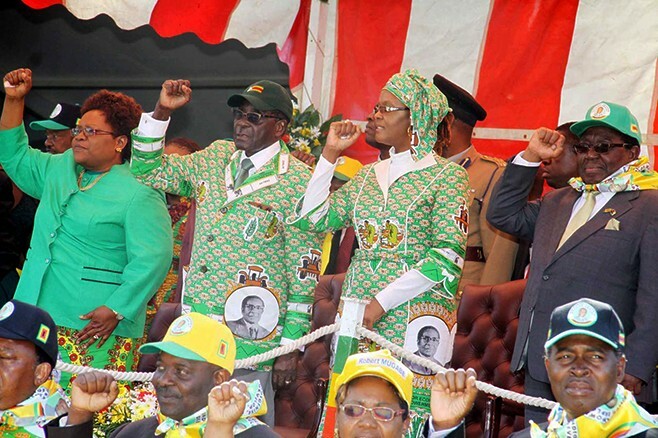 The Zanu PF National People’ Conference started on Monday and will be officially opened by President Mugabe on Friday.